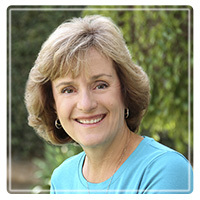 Simi Valley Therapist: Deborah Tucker - Therapist 93065. I work with individuals, couples and families to improve relationships. What does that mean? I help you to have a better relationship with your past, so that old pains and hurts no longer cause you problems in the present. I help you to have better relationships with the people you love. Even if they don't come in with you, you can change the relationship by changing your behavior. I help couples to remove the blocks to real intimacy, so they can be truly close again, or for the first time. I help parents and children, in various combinations. Parents needs lots of skills these days. Children need lots of support. I help the family be the strong unit it is meant to be. If you are interested in exploring your spiritual relationship with God, that too is something I work with. Emotional problems can cause spiritual blocks. Spiritual blocks can make it hard to resolve emotional problems. We can explore both of these together. If you'd like to know more, please visit my website. Or contact me at the link above or by phone at 805-583-3976 x 733. If you use the link above, please let me know if you prefer a phone call or email response. I look forward to talking with you.